When the NFL celebrated its 75th anniversary in 1994, teams wore special commemorative jerseys. 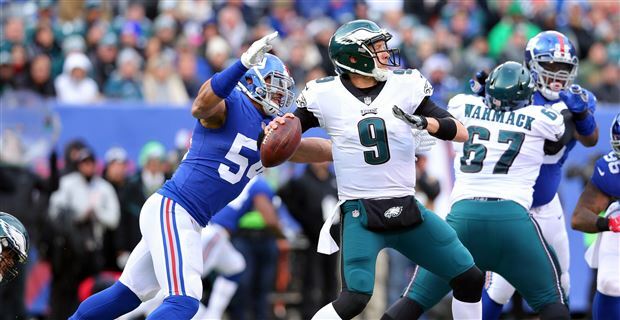 Some teams did it for one game (Eagles and Packers) while others did it for extended periods of the season (Cowboys "Double Star" and 49ers with a 3D jersey number). Use your editing skills and design what you think a 100th anniversary jersey would look like for any team you choose. Joke submissions fully encouraged and accepted. They did more than wear commemorative jerseys in 1994. They wore full blown throwback uniforms. Many of them were really bad, but they were throwbacks, none the less. The league scheduled Week 3 as 'Throwback Week', if I remember correctly and all of the teams wore their throwback uniforms that week. 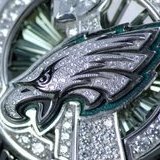 I believe that was the only week that the Eagles wore theirs but other teams wore theirs more than once with the 49ers wearing theirs in the Super Bowl. I was disappointed in the Eagles version. 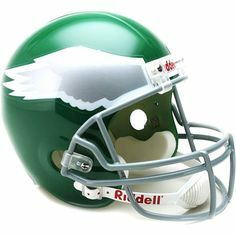 I'd love to see the Eagles bring back the 1960 throwbacks, like they did in 2010. 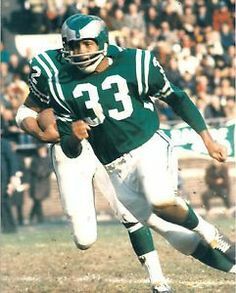 Around the league, I would like to see the Bills go back to the Kelly/Thomas/Reed/Smith uniforms, complete with the red helmets. I'd also like to see the Jaguars go back to their late 1990s teal uniforms. Those never should have left. Finally, I like when the Redskins mimicked the leather helmets that one time, and would like to see that back. It was bizarre, in a cool way. They didn't quite get the color right in 2010. Use the white for the wing, and the silver as a highlight around it, maybe even a small black line to break up the silver when it touches the green. We should NEVER wear color on color. If we have to for color rush, see if we can get away with white jersey, silver pants. Also, Black jerseys and black pants do not fit our aesthetic. Otherwise, Green Jersey, silver pants is primary. White Jersey with Green pants is secondary. Green pants wasn't a big thing in the 80's, but they'd work way better with a darker shade than if we went super Kelly Green. Imagine these pants in Cunningham green, but instead of the solid black stripe on the side, it'd be 2 thin white ones like the alternate pants. Hand pouch and knee pads would be similarly white. Just don't think all this black works outside of the midnight green style. 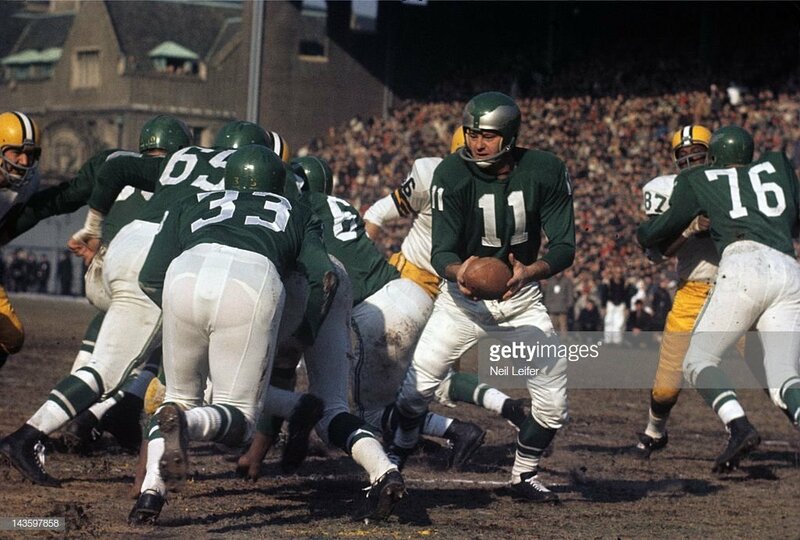 Doesn't remind me of classic eagles football. But get rid of both our current and our former Cartoon eagle logos. None of the classic NFL logos like Green Bay, Chicago, NYG, Dallas, SF, KC, etc are cartoon characters. Awkward coincidence, but ours is green so its better. That picture makes me sad. At the time, both teams were bad. Real bad. And a few years later, one of the teams was great -- and would be great for many, many years -- while the other team was still bad. And we weren't the team that became great. Sigh. I was at that game, by the way. 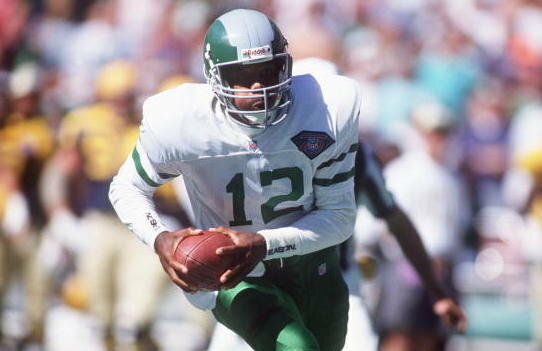 My favorite Eagles jersey is the kelly green with silver pants. So somebody on Reddit went and flipped it around. A Pottsville Maroons jersey would be cool to see. Why not? It's a historic NFL franchise. My dad is from that area, so seeing a jersey reimagined almost 100 years later would be cool. I live in Pottsville. Pottsville recognizes the Maroons. The NFL however does not and refuses to truly acknowledge them. Looks like an indoor football league team, or one of the rejected oregon duck alternates.